der legendäre britische sportwagen-hersteller lotus hat verlautbart, sie werden ein 200 ps motorrad bauen. lotus-motorrad ist eine gemeinschafts-produktion von kodewa, dem auto-designer daniel simon und der holzer group. verwenden will man dazu auch bauteile aus der formel-1-technologie und kodewa hat auch das tron lightcycle entworfen. die informationen über dieses projekt sind noch rar, lediglich ein einzelnes bild mit einem kohlefaser-tank und eine pressemitteilung hat es bis jetzt gegeben. in der kommenden woche hat lotus motorcyle angekündigt, mehr über dieses projekt zu verlautbaren. jedenfalls besagt die pressemitteilung, dass mit dem bau recht bald begonnen werden soll. das lotus motorrad-projekt läuft unter dem namen c-01 und es soll ein ganzheitliches konzpt sein. daniel simon dazu: "mit der lotus c-01 haben wir ein ziel, ein einzigartiges motorrad zu entwickeln, das trotz seiner brutalität viel eleganz und stil mitbringt, ein high-tech-monster mit einem massgeschneiderten anzug also. der c-01 wird mit erstklassigen komponenten und materialien hergestellt und er soll emotionen wecken, herzen brechen, manchmal spierlisch retro sein, aber immer eindeutig ein lotus sein." Lotus Motorcycles is a joint project of Kodewa, car designer Daniel Simon and the Holzer Group. The Lotus C-01 will be a hyper bike with integrated racing technology. It will be manufactured of materials like carbon, titanium and aerospace quality steel, which are also used in Formula 1. Safety, ergonomics and design are the most important factors the design team has put emphasis on. 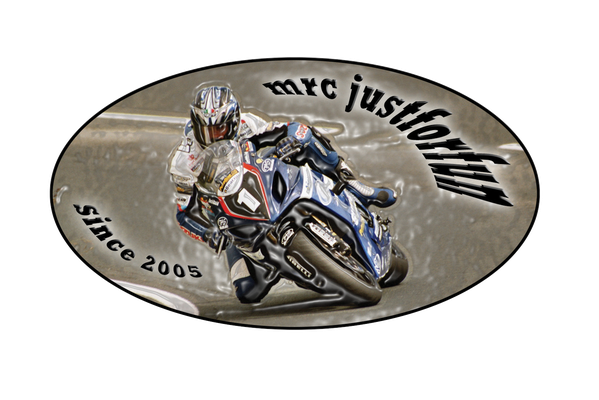 It will be a state of the art motorbike powered by an approximately 200 horsepower engine. The unique shapes of Lotus Motorcycles will be penned by renowned designer Daniel Simon. Simon, a former designer for Bugatti Automobiles, has lately been responsible for some of the most sophisticated concept vehicles in Hollywood film history. Amongst his most recognizable contributions are the ‘Lightcycle’ in the 2010 Disney motion picture ‘Tron: Legacy’ and the ‘Bubbleship’ used by Tom Cruise in the recent Universal Sci-Fi hit ‘Oblivion’. The German was also designing the famous black and gold livery of the Lotus LMP2 sports cars. Daniel Simon is known for his clean and holistic concepts. The designer says: "With the Lotus C-01, we have only one ambition: to create a unique state-of-the-art machine that carries its brutal forces with elegance and style, a high-tech monster in a tailored suit. The C-01, with all its top notch components and materials, is first and foremost emotional, heart-breaking, at times playfully retro, and always clearly a Lotus. Within the Holzer Group, the Performance GmbH is involved in the development process. The components made of titanium, carbon fibre and aerospace steel will be produced by RPC GmbH, which is also part of Holzer Group and Kodewa. Latest CNC machines linked with CAM workstations ensure highest precision and optimal workflow of the complex procedures. Because of quality inspections before, during and after the production process, a safety-related and faultless production is ensured. A new company called Lotus Motorcycles, a joint project of Kodewa, car designer Daniel Simon and the Holzer Group, has apparently been established to design and build the first motorcycle under the badge of the long-running sports-car manufacturer. 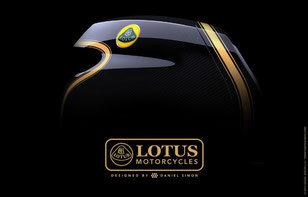 The bike will be named Lotus C-01, and is being billed as a “hyper-bike” by the company. The Lotus C-01 will have “integrated racing technology” and use materials like carbon-fibre, titanium and aerospace-quality steel. It will be powered by an “approximately 200 horsepower” engine. Kodewa has recently built the new sports car Lotus T128 LMP LeMans Prototype and is running the Lotus LMP2 program in the FIA World Endurance Championship. The design will be penned by German designer Daniel Simon, a former designer for Bugatti Automobiles, who recently created the ‘Lightcycle’ in the 2010 movie Tron: Legacy and the ‘Bubbleship’ in the 2013 sci-fi movie Oblivion. The development, production and assembly of the Lotus motorcycle will be carried out by Holzer Group, which is involved in the German Touring Car Championship DTM, German Rally Championship and Formula 1. The Lotus car business is having some tough times at the moment, as development of fresh models are delayed due to money issues. Already selling in Saudi Arabia, the car line-up is poised to enter the UAE market soon, although no specific dates have been announced.